I was sponsored these lenses from LoveShoppingholics ! Firstly, shipping was fast and speedy, and it took just over a week for my package to arrive. The package itself was tiny and cute because it's wrapped with rabbit plastic, but I was surprised at the content inside my little pack. There were two small glass bottles containing the lens with solution, mini kawaii note, also included absolutely adorable elephant lens boxes, which was an extra touch that I loved. I chose starmish because, I think it is black soft and have a color that is almost the same color as my eyes. I'm use black contact lens for daily day because it looks very natural. Geo Starmish comes in 3 different colors: Grey, Black and Brown. Designed by fashion model Mai Hirose , GEO Starmish series is currently selling like hotcakes in Japan! This design features stunning, vibrant color to express the confidence and charisma of the fashionista who chooses to wear it. 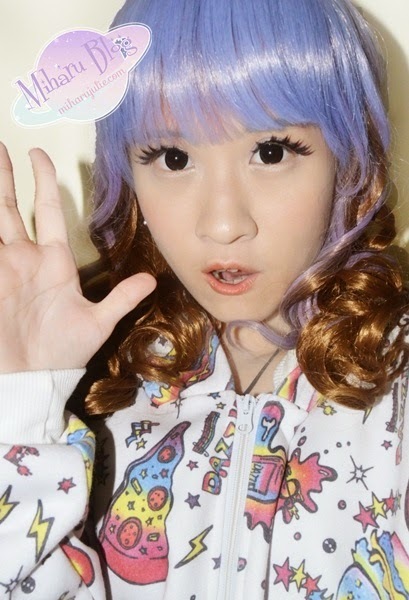 These circle lens, like many others, have a black rim to help make your eyes appear larger and more defined. It has no color or tones in it. The pattern blends well into the eye color. I love these circle lens for an everyday look. 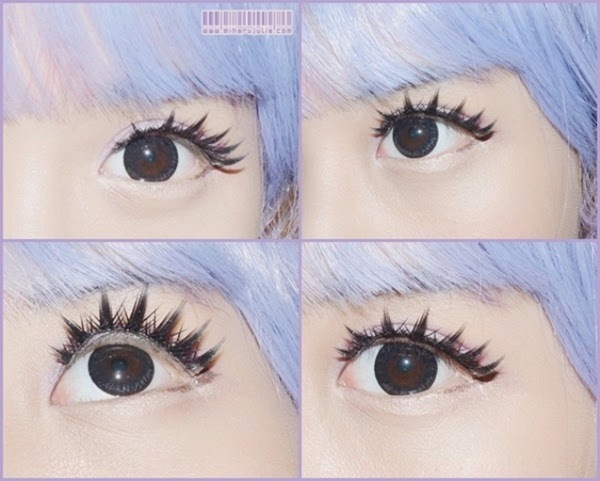 I think this lens is perfect for people who like the pattern that is simpler, and ulzzang style . This is a comfortable lens. I don’t feel them when I put them. but, Like all circle lenses I've used, these also start to make my eyes a little dry after a few hours. I always keep eyedrops handy when wearing lenses so no problem anyhow. The enlargement not too big, But It still give the look of larger eyes. I personally think that these lenses are perfect for casual and natural looks.